Opposition party meeting with European Commission president tomorrow night in Brussels, but ECB official says rate change not possible. AS FINE GAEL’S ENDA KENNY and Michael Noonan prepared to meet with the president of the European Commission, a senior ECB official has dismissed the possibility of renegotiating the Irish bailout rate. Earlier today, the Fine Gael Leader said he welcomed the opportunity to meet with Jose Manuel Barroso tomorrow. Kenny said his party is committed to “changing the policy measures contained in the EU/ECB/IMF funding programme and to negotiating with our European partners to reduce the penal interest rate that Ireland is being charged”. He and Fine Gael spokesperson for finance Michael Noonan are due to meet with Barroso tomorrow evening in Brussels at 5pm Irish time. However, ECB executive board member Lorenzo Bini Smaghi told RTÉ’s Prime Time that renegotiation of the €67.5bn deal is not on the table. Smaghi said that the bailout deal went through a democratic procedure which does not happen again if the government changes. He said that “the programme has been signed and it has to be implemented”. The problems of Ireland were created by irresponsible financial behaviour of some Irish institutions and by the lack of supervision in the Irish market. Email “ECB official rejects bailout rate cut as FG heads to meet Barroso”. 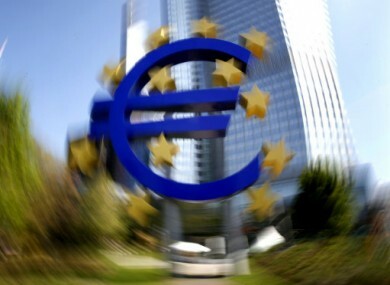 Feedback on “ECB official rejects bailout rate cut as FG heads to meet Barroso”.